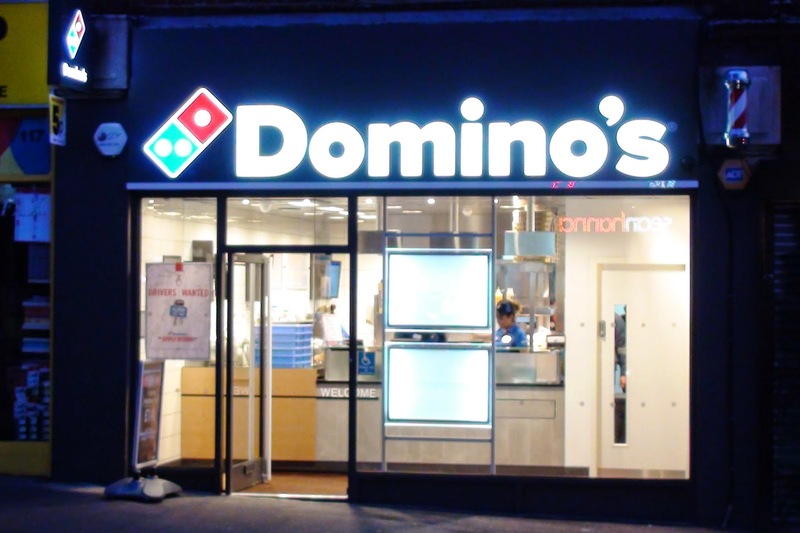 It has become common knowledge fairly quickly that Domino's opened their new pizza delivery store in Central Road (where Debra used to be) on Friday. Especially since they have been leafleting the area (as you would expect) with menus and special offers. George, the new franchise owner told the blog on Friday morning, a couple of hours before he opened his doors for the first time that he really didn't know what to expect. He said he couldn't start leafleting until he had actually opened but was hopeful it would go well. He did mention his deliverers would be parking behind the store rather than in front so they would not be taking more Central Road parking spaces. However this means pedestrians and others will need to keep a watch out for their bikes and car driving through Stone Place. The good news for George is that business has started very well. They were quite busy this evening when I popped in again. George said he has hit his expectations and was very pleased with the start. A little further up the Road their main competition was unusually quiet. 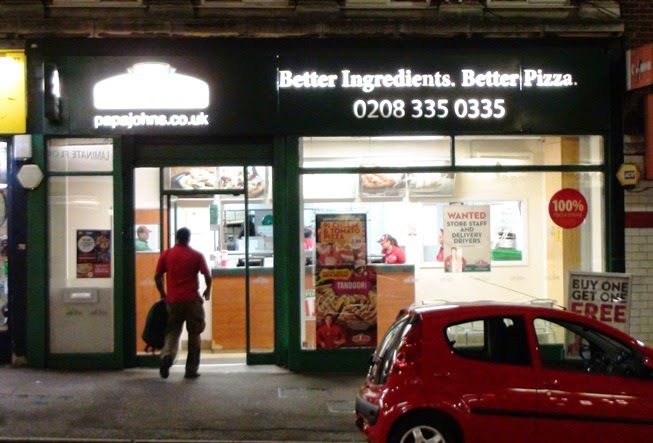 Raj the owner of the Papa John's franchise told the blog that his business has dipped markedly this weekend. He hoped this was simply due to people wanting to try something new and the opening specials on offer from the new Domino's. He said he had lost a couple of staff to Domino's as well. He hoped customers would come back to Papa John's for the pizzas. George at Domino's said he couldn't know how his business would affect that of Papa John's. He hoped they would both be able to do well in the area. Meanwhile the Pizza Express manager, Eddie said that business there had not been affected. This was probably not unexpected as the restaurant and delivery markets are very different.